You will love this centrally located 2-bedroom condo under $175k with a Denver address. The kitchen has been updated with cabinetry and backsplash and the super sharp bathroom has been remodeled! The washer/dryer is included. Convenient location close to parks, restaurants, King Soopers, and several bus stops. Seller has paid in full the special assessment for replacement of staircases and handrails. And get this, the HOA has just approved a reduction in the monthly dues of $10 per month, effective in 2019 (buyer to verify). 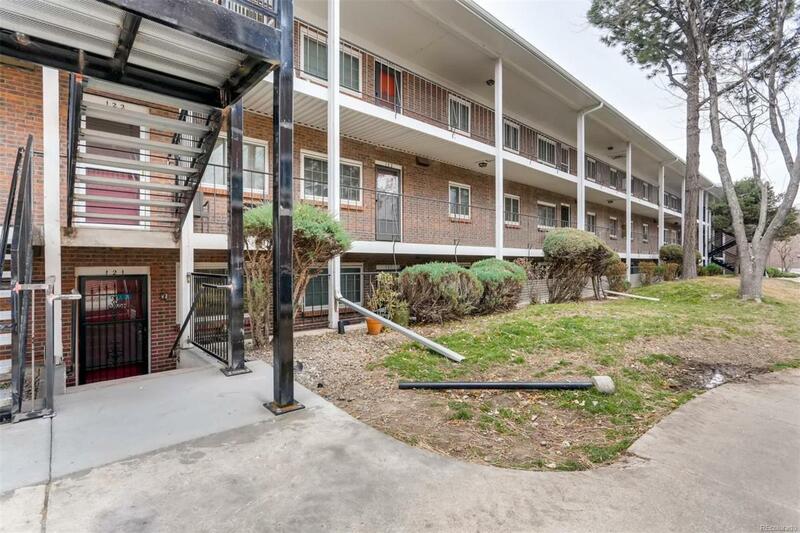 It's tough to find this solid of a unit in Denver proper at this price point. Sorry, no FHA financing. Detached carport with oversized storage locker is located about 100' west of your front door! Seller is actively looking for their new home but may need a bit of post-closing occupancy. Please allow a 24-hour acceptance on offers. Showings start Saturday 11/10/2018 at 10 am.